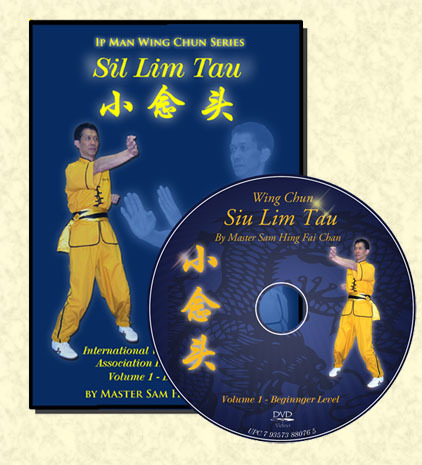 Sil Lim Tau is the first hand form taught in Wing Chun, and contains within its seeminly simple frame all of the theories and techniques of Wing Chun that will form the foundation of a student's training in the art. 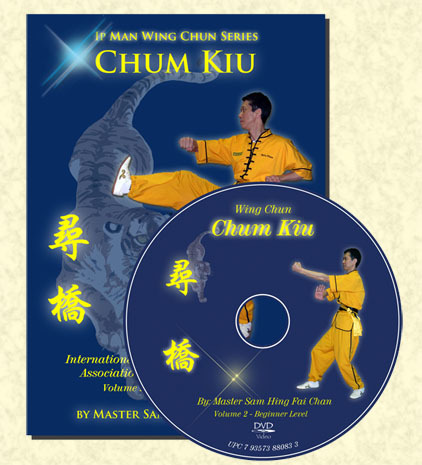 The second level of training in Wing Chun, Chum Kiu introduces foot work, body weighting, bridging, and double handed chi sau. Practice on the wooden dummy hones and refines the techniques learned from the Sil Lim Tau, Chum Kiu, and Biu Gee forms. It also strengthens the forearms, improves footwork, helps sustain energy and refines the skills of Chi Sau. 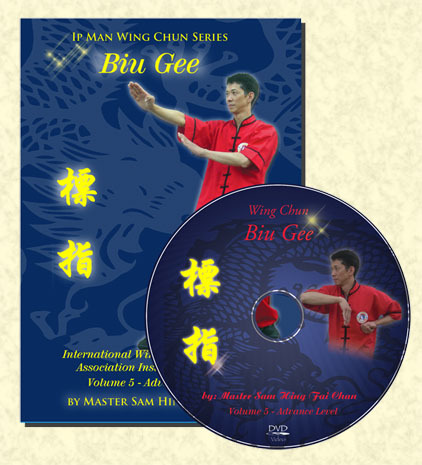 Biu Gee is the third and most advanced hand form of the Wing Chun system. The unique character of Biu Gee is that the movements have to be explosive. It requires rapid and precise turning of the body to generate powerful and lightning fast strikes. Biu Gee training addresses, too, the need for a deep and profound understanding of Wing Chun theories and principles. Lok Dim Boon Gwan is a very fast and powerful pole set with six and a half individual strikes. 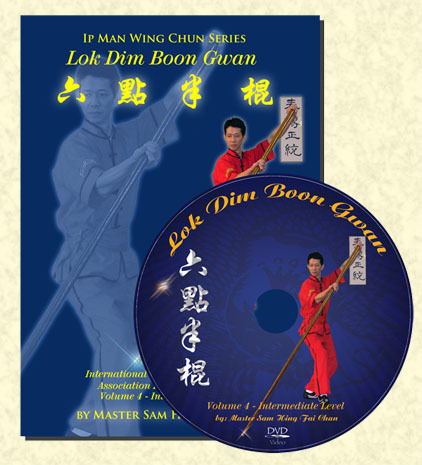 Originally a Shaolin form, Wing Chun theories and principles such as centerline theory, economy of motion, and chew ying (facing) were applied to this wing chun pole form. The Lok Dim Boon Gwan form can greatly increase the stability of stances, body movement and thrusting power. This form also strengthens the fingers, wrists, arms, shoulders, and upper body. 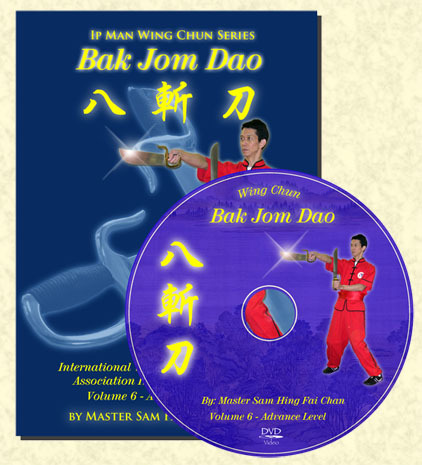 The Bak Jom Dao represent the culmination of a student's training. Requiring indepth knowledge of Sil Lim Tau, Chum Kiu, Biu Gee, and the Dummy Set, the knives are the most advanced level in Wing Chun. The Wing Chun knives are simultaneously offensive and defensive, acting as extensions of the hands. 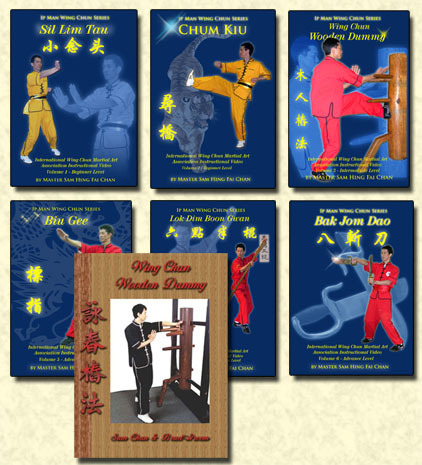 Learn the entire Wing Chun system at your own home. 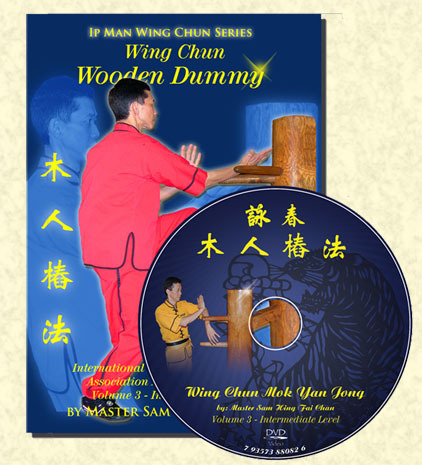 This 6 Disc DVD Wing Chun Instruction DVD set includes all three hands forms, the Wooden Dummy set, and both the Pole and the Knives forms! with great discounted price. In addition, a wooden dummy book is included in this set.